It isn’t free, but it’s pretty darn close. 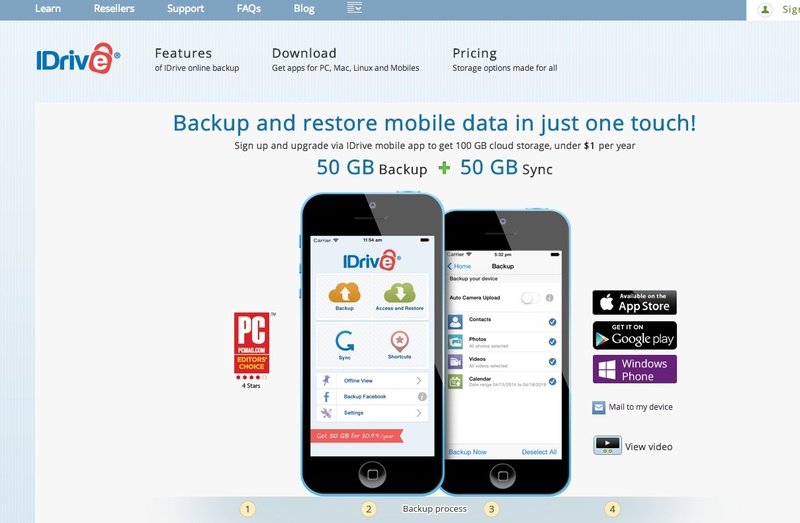 iDrive is now offering iPhone and iPad users 100GB of storage for 99 cents per year. Apple(s aapl) iCloud users get 5GB for free, but Apple charges $100 for 50GB a year. The small print is that this deal is good for in-app purchase only. The company already offered a free tier of storage, up to 5GB, for its regular (not-necessarily-mobile) users. The next tier after that is $34.75 per year for up to 300 GB of storage. This is just the latest in what had seemed to be a race to the bottom in cloud storage and file-share pricing. Google(s goog) Drive and Microsoft(s msft) OneDrive trade price cuts. Most of the major players, including market leader Dropbox, continue to offer some level of free storage — although Dropbox’s free tier includes just 2GB of data. Here’s the thing, though: IPO-bound Dropbox has a ton of VC money to pour into customer acquisition. The idea is to get people in for free and convert them to paying customers. And Google and Microsoft obviously have huge cash troves from their other businesses to carry freeloaders. But for other, smaller companies, there has been retrenchment. Earlier this month, for example, Canonical killed its Ubuntu One service and SugarSync and Droplr recently ended their free tiers of service as well. Apple, alone seems to have held fast on storage pricing which starts at free for up to 5GB, then goes to $20 per year for 10GB; and the aforementioned $100 for 50GB. I suppose it’s possible Apple will address pricing at its upcoming Worldwide Developers Conference, but the company has thus far been immune to pricing pressures on its products. But Apple aside, you have to wonder how many other, smaller companies will have to review the freebies or near-freebies they offer going forward. It’s a bloodbath out there. I’m not convinced Dropbox’s strategy will work either. They’re still charging $180 per user every year which is way more than what my business is paying with DriveHQ, which is $6 per user a year. Until they lower the pricing I’m not convinced they’ll be able to get small business owners like me or even large businesses to switch. There are many viable options for cloud storage out there today. I have come to love Copy and their platform. Using a referral you start with 20GB of free space. Every person you refer gets 5GB of space and you too. They have apps for all the major mobile devices and PC/Mac. Being owned by Barracuda the service isnâ€™t going anywhere anytime soon. So when mentioning iDrive, Google Drive, Dropbox and all the other services that start costing donâ€™t leave out Copy. Iâ€™m providing my link to get you started in referral.